This is probably one of my bests paintjobs, or at least the one I'm most proud. 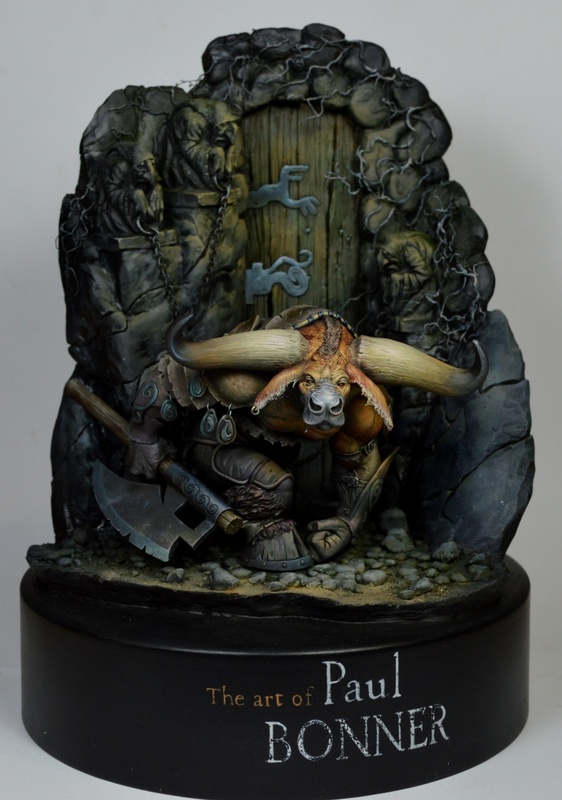 It is a original sculpture from Joaquin Palacios, based on the illustration from Paul Bonner. Thanks to all the mumi team for the opportunity. Gold for sure !! Awesome paint ! You have matched the painting style of Paul Bonner very well. It is Gold to my eye. 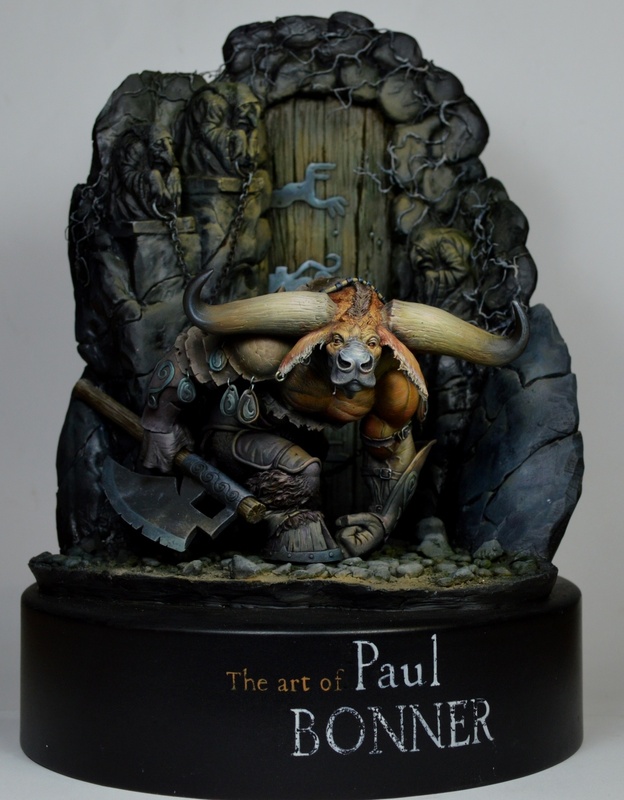 Excellent representation of this artwork from Paul Bonner. Both the sculpting and painting work is really top notch. Congrats on the great work! BTW, your SBS steps posted on Facebook are also very inspiring. That’s an amazing tribute to Paul’s Bonner art! 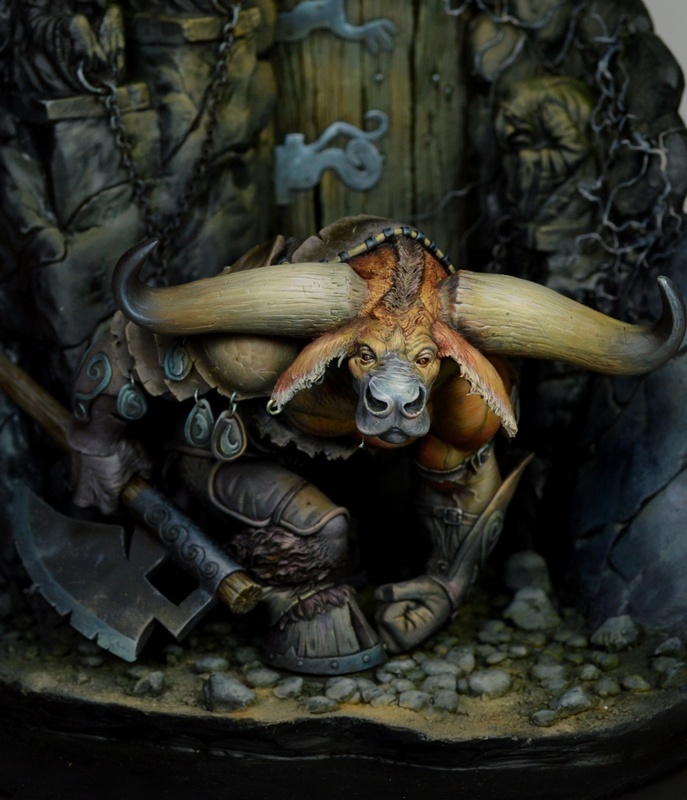 Sculpting and painting are truly fantastic. It’s a masterpiece for me! Brilliant - looks really realistic ! Thanks Marc for this awesone painting! I’m very very happy with the result! Beautiful and amazing work. Great sbs, thank you for sharing. That is such a majestic piece of art. Congrats!! Thank you very much guys for your words and time to write me! Cheers! Perfect collaboration…and a beautifull painjob…as allways! Gold! I’m fan! No much more… Amazing work. I love this piece, I keep coming back to it again and again to just soak in the scene. Great job ! It’s a GOLD medal , of course.